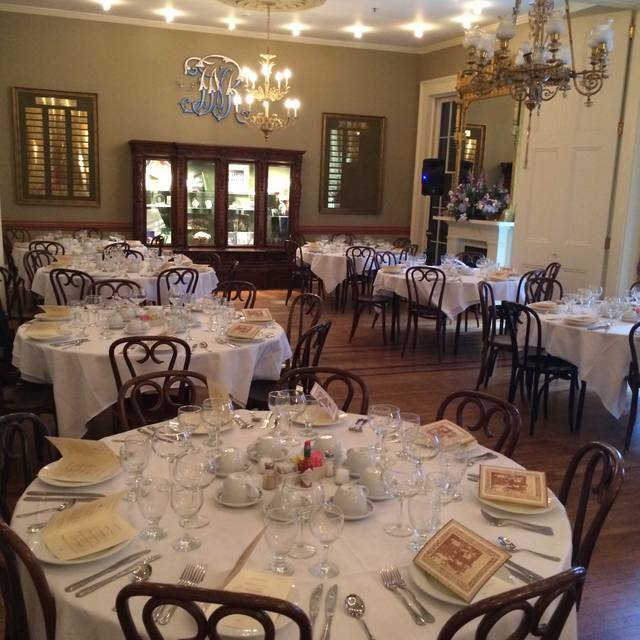 We are the oldest family owned restaurant in the country serving traditional French Creole cuisine since 1840. 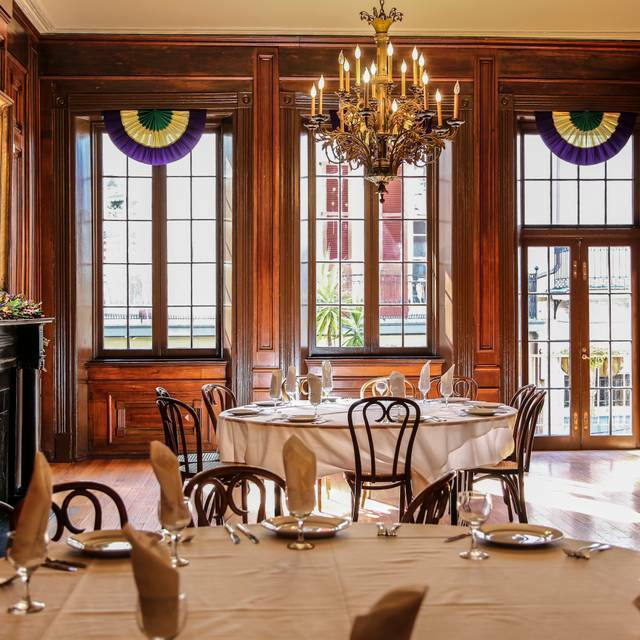 We invite you to stop in and experience a fine dining French Creole experience like no other. 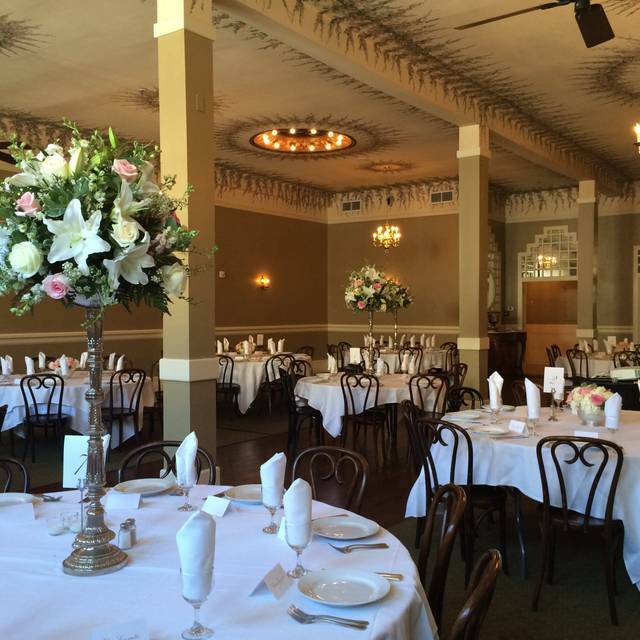 Antoine's Restaurant has set the standard making New Orleans one of the greatest dining destinations in the world. Antoine Alciatore was the first to serve visitors such New Orleans culinary treasures as Crawfish Cardinal and Shrimp Remoulade. His descendants, now fifth generation, continue the process. His son, Jules, created such unique offerings as Oyster Bienville, Foch, and Rockefeller. Invented here, and only here is the original Oyster Rockefeller served, still a secret family recipe. 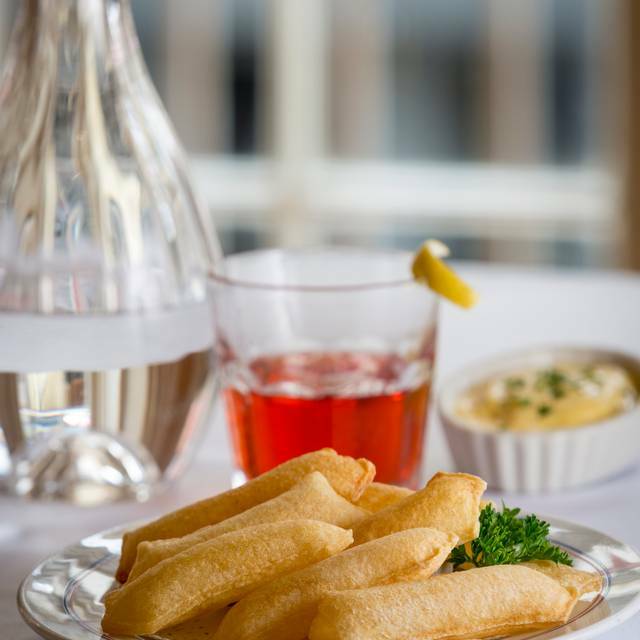 Come and experience the culinary delights that have made Antoine's Restaurant a living history. Three oysters baked on the half shell with the original rockefeller sauce created by Antoine's in 1889. Egg entrees served with a side of fried asparagus. No substitutions. One complimentary Mimosa with purchase of egg entree. Entrees served with a side of fried asparagus. No substitutions. One complimentary Mimosa with purchase of entree. Must be ordered at beginning of the meal. My wife and I went here for our 1 year anniversary. You only get one of those so I figured we would go somewhere that has to be good. You know somewhere that has been around forever and that you have seen on the food channel and travel channel. Somewhere that is a can’t miss type of place. Well It started out well but it just went a little downhill from there. We ordered 3 different appetizers because we had to have them. The Pommes soufflés were good but half the size of the ones you see online or on tv. The shrimp cocktail were baby shrimp (the size you put in soup) for $13. My wife ordered the soft shells with meunière sauce, the crab had thick breading with little seasoning. The sauce was served in a ramekin and didn’t seem to be a brown butter meunière. It was more of a mayo based tartar sauce loaded with pickles. I ordered the veal chop which was served without sides for $48. Not an issue if it would’ve been good, but It was drenched in a dark thick gravy ?? which was just not great. You could taste the burned flour and It had dark burned chunks in the sauce and hurt an otherwise good piece of veal. The description said something about a truffle mousse and port wine sauce but I didn’t pick up much else other than burn. The veal chop was cooked good and I ate most of it but as little as the sauce as I could. The side dish we added on was creamed spinach. It was covered in chopped hard boiled eggs even though no eggs were in the description. My wife despises eggs and actually ate some of it thinking it was cheese. Now our first anniversary will be remembered as the egg anniversary. Delicious food & attentive waiters. Amazing food and service! The atmosphere was nice for a Saturday afternoon brunch. It is a lovely place to have a weekend brunch. Having dinner at Antoine‘s was like stepping into a different era. The service was impeccable. The food was absolutely delicious, and the desert was out of this world. We understand why Antoine’s is the oldest running a restaurant in New Orleans. It is simply a treasure. Great atmosphere, good food and amazing service. Although listed as not kids friendly we found good choices and they loved dessert. I wondered if one merits sub-par service when dining alone? Changed my reservation to single because my guest could not join me. Given a table by the door to kitchen and entrance to dining room. Waiter was inattentive. Two gentlemen at the next table came in several minutes after me and had, two drinks, lunch, their dessert and check before I finished my entrée. Cancelled my order for a glass of wine that never arrived—had to do that with another waiter because my waiter was nowhere in sight. Had to ask another waiter for a check and yet another waiter brought my dessert. This was for a late lunch, 1:30pm reservation and the restaurant was not overly crowded. I have dined at Antoine's many times and had good experiences. I was not in a hurry, however I don't think it unreasonable to expect a modicum of attention/service. Also, is there any such thing as a dress code anymore? Antoine's has a recommended one on its website but it doesn't seem to matter. Shorts and t-shirts seem to be acceptable. 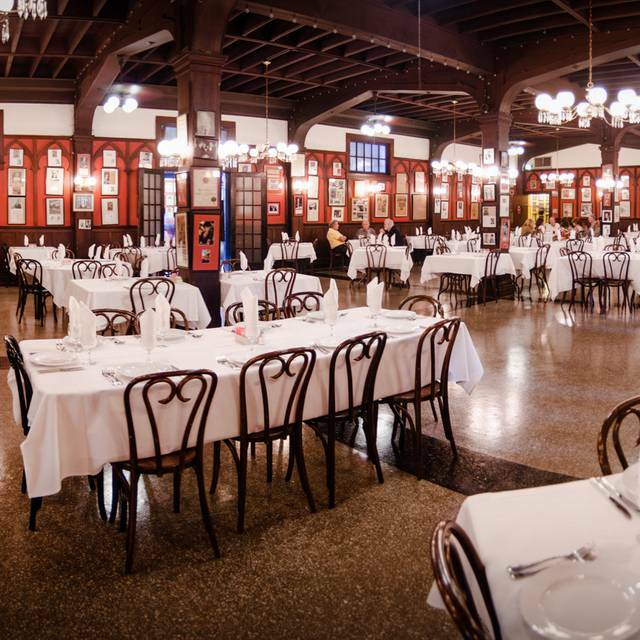 I had researched extensively prior to out trip to New Orlean and Antoine's was recommended in several articles and blogs, mainly for it's historical value. That was the only thing I appreciated it for. The food was definitely something you would expect from such a highly rated place. We ordered the Oysters Rockefeller which was their now recipe with herbs, and I could not even eat them. My gulf fish with crab meat was drenched in butter, and the asparagus came with cold, lumpy hollandaise sauce. The food and presentation was cafeteria quality at best. I was hugely disappointed as we had friends in from Europe. There are so many excellent restaurants in New Orleans and the competition is fierce, that I am surprised that this place in still in business. We visited New Orleans on vacation. We had reservations at Antoine’s and the evening was wonderful. Wonderful meal, great ambience, and incredibly attentive and friendly service. Baked oysters, fish with lump crabmeat, and chicken with ham and Bernaise and Rochambeaux sauces were delicious. Topped off the meal with an ice cream sundae on a meringue crust, which was like a mini Baked Alaska. Do not miss eating at this piece of history, which still hitting on all cyllinders -- to say the least. I made reservations for dinner at Antoine's via Open Table with no difficulty at all. Arrived at the restaurant and was greeted, and seated immediately by a friendly host staff. I sat in the front dining area that was large, with a good amount of space to move about. I was seated near the host station, but it did not distract from my dining experience. The waitstaff was pleasant and efficient. I was immediately brought a loaf a very good French bread and a large glass of water. For my appetizer, I ordered the Escargot and they were excellent. After listening to the dinner specials, I opted to order the soft-shell crab entrée, and I paired it with a side of creamed spinach. Both were excellent. I didn't order a dessert, but opted for a post dinner, adult, coffee drink. Excellent presentation of the brandy flambé at tableside. The amount presented was delicious, but I think this was designed for more than one person. I was not able to finish all of it; however, a to go cup was available if I so wanted it. I enjoyed interacting with my server. He was knowledgeable and fun to chat with. The lunch was a 3 course meal. Appetizer, Entree and dessert. You get a choice for each course. Be aware there is a dress code but not overly strict at lunch. Antoine's is a upscale fine dining establishment so dinner prices are high but it is an experience worth trying and the lunch special makes it affordable. My daughter and I were expecting a lot from the famous Antoine's and unfortunately we were disappointed. The table looked bare and sparten and bread was served in a paper bag that looked straight from Publix. The food was overpriced and shockingly a la carte. What made that so bad was that we had ordered a baked spinach to accompany our gulf fish almandine. The fish arrived and sat .... and sat .... while we waited for the accompaniment. Finally, after 20 minutes and countless attempts to get the attention of our waiter we asked him for our vegetables. Without an apology we turned on his heal and returned with it without a word. Actually, it was not worth it once it arrived, it looked and tasted like frozen creamed spinach. The fish was not bad but I've had better elsewhere. The oysters Rockefeller looked very unappetizing served on a bed of rock salt. Large chunks of the salt had mixed in with the sauce which was an awful combination. The only way to make the oysters palatable was to pull out the oyster from the sauce and eat it alone. Our waiter must have know what an awful meal he had served because he never once came and asked us if everything was OK. 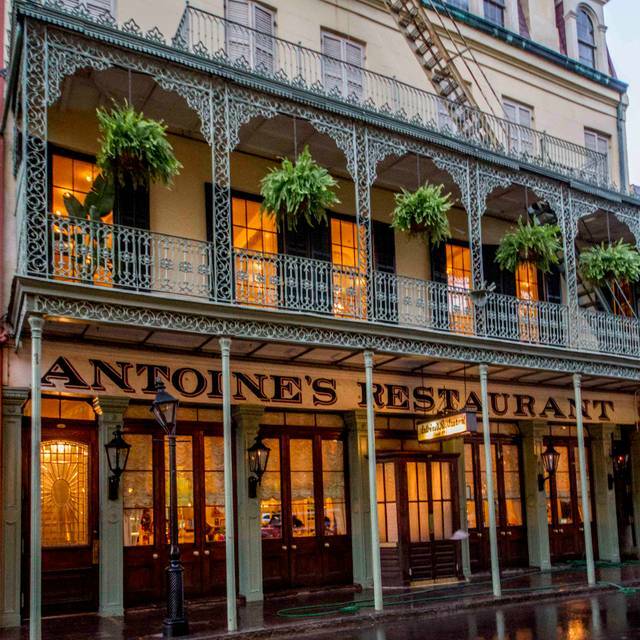 There are many fine restaurants in New Orleans but Antoine's is not one of them. We had a birthday dinner at Antoines last week. There were 8 of us and 3 people celebrating birthdays. The service was awful! Our waiter ignored us for most of the time we were there. It took forever to order. We had to ask the waiter assigned to the table next to us to get our waiter so that we could order. When I mentioned the birthdays, the waiter suggested we order Baked Alaska, which no one at our table wanted. There was not a birthday dessert provided by the restaurant. At our brunch earlier that day, at another restaurant, all of the birthday celebrators were given a brownies and ice cream with a candle. The food was tasty but overpriced for the serving size. It seemed that those ordering seafood entrees were given larger portions than those ordering beef or lamb. The beef brochette portion was smaller than the shrimp appetizer. Most entrees do not come with sides, so be prepared to order vegetables or potatoes. Our water glasses were never refilled. We ended up pouring our own wine as the wine was served while most of our party were drinking cocktails and were not ready for the wine. Though when the waiter saw the bottle was empty he commented that he had hoped to fill our glasses, and then asked if we wanted another bottle. While the restaurant has lots of history, photos, and memorabilia to see, I would not recommend going here. There are so many wonderful restaurants in New Orleans that provide better service and value. Excellent food & service. The waiter told us of a special that was not on the menu. Been here a couple of times for lunch and wanted to try dinner. We were seated promptly then it feels rushed to order and hurry it along which for dinner I prefer more relaxed process. Food although good was all luke warm nothing was served hot like it was freshly cooked. Probably will cross this off as been there eaten that and move on to so many other choices. Our servers were very nice and accommodating. It is everything you would expect from this New Orleans landmark. Our party enjoyed their lunch special and would highly recommend it. Awesome food and service! Best place to eat in New Orleans. The atmosphere and service were impeccable. We dined for the Sunday Jazz Brunch and thoroughly enjoyed the music. We did find the portions to be a little small for the price as everything we ordered was a la carte. However, the food was delicious, and we plan to return and try the full dinner menu. 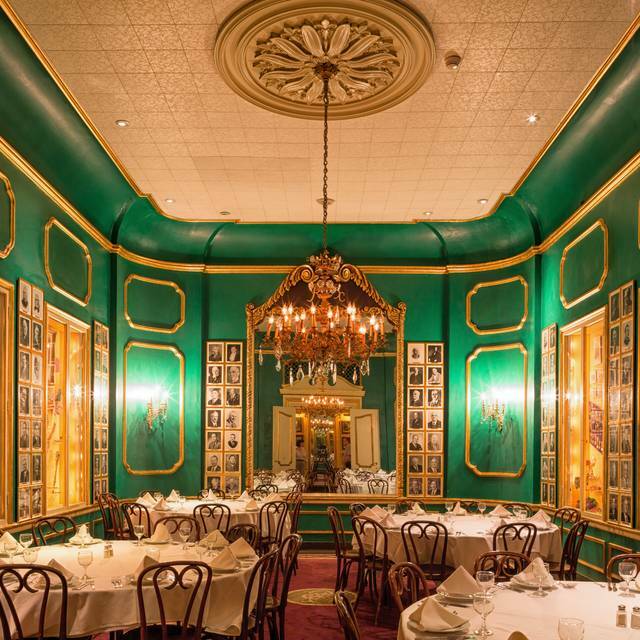 After dining here for 60 years-as a visitor , as a Tulane student in the 60's-REALTOR conventions , my Aunt was a celebrity resident of the Quarter- I am so saddened that one of The Grande Dames , Antoines ,is no longer superb. Your signature dish ,Oysters Rockefeller , was visually boring and fake looking and quite tasteless.....sort of a "foamy " greenish blended spinach goop .You folks are loosing it . Veal dish was fair and the presentation was bland looking. The Bloody Mary was warm , 2 ice cubes and just did not possess a quality B Mary taste [definitely mass produced] My fellow diners had similar fair takes on their dishes . There is still time to reverse your downward plunge! Get a new team of upgrade managers ,totally brand new haute-cuisine chefs , quality control emphasis on each and every dish ,absolutely all new attitude on wine/libations and resurrect the ANTOINES OF THE GLORIOUS PAST ! Copy Arnaud's,Brennan's,Commander's Palace& Galatoire's approach or ya'll are doomed ! If you say you have a dress code, then enforce it. I had high hopes after reading great reviews but overall this was a very disappointing experience. Our group had a combination of the prix fix brunch as well as a la carte items. The oysters 3 ways were presented in a very unappetizing way and one that I bit into was definitely bad. My veal entree was pretty good but my sister's crawfish cake was burnt. Our servers were all very nice but when she let them know about not wanting her meal (which is something she never does, they didn't even remove it from the bill. Overall, the best part about the brunch was the wine which is quite disappointing with prices like theirs. We were so disappointed. The food was overpriced and did not taste good at all. We have been there before and it was great. I'm not sure what's going on there. I felt bad bc we took some friends who had never been to NOLA and totally raved about Antoines. I am pretty sure our friends thought we were crazy, because it just was NOT good. Very disappointed. I enjoyed my dinner at Antoine's. We were placed in a back dining room which was interesting. However, the sound levels were loud making conversation a bit more difficult. The food was delicious. But beware! all is al a carte! Your entrée does not include anything but the entrée - any vegetables need to be ordered (for an additional charge) separately. I had the fried fish. It was fresh, and tasty. My bread pudding was delicious! Overall, the food and service were superb. I just felt that the overall experience was overpriced compared to the competition. Antoine's is an iconic establishment in New Orleans, which is why we went there for my teenager's first trip to the City, but I should have heeded the warnings that it wasn't worth it for the money. Our lead waiter was fabulous, but busy and clearly did not have the assistance she needed as the bus boy was simply out of it. It seemed like there were a lot of flustered waitstaff for early on a Saturday night. 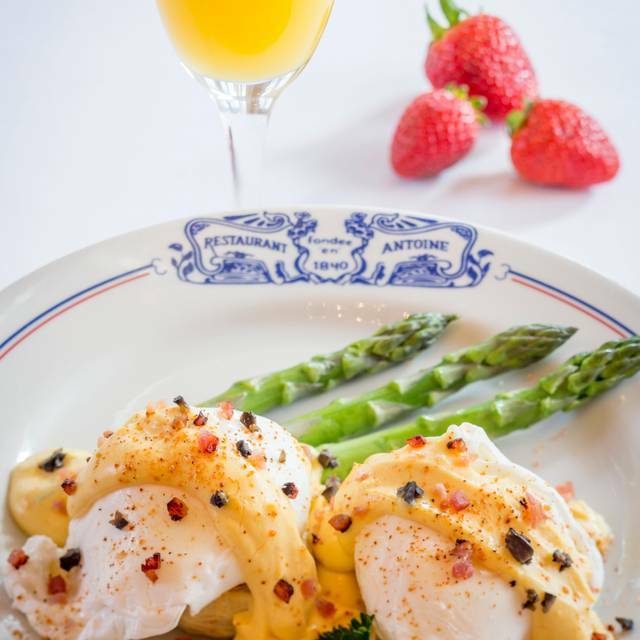 The food was exceptional and expertly prepared, but we had equally good meals at other establishments in the French Quarter with better service and which were somewhat less expensive. 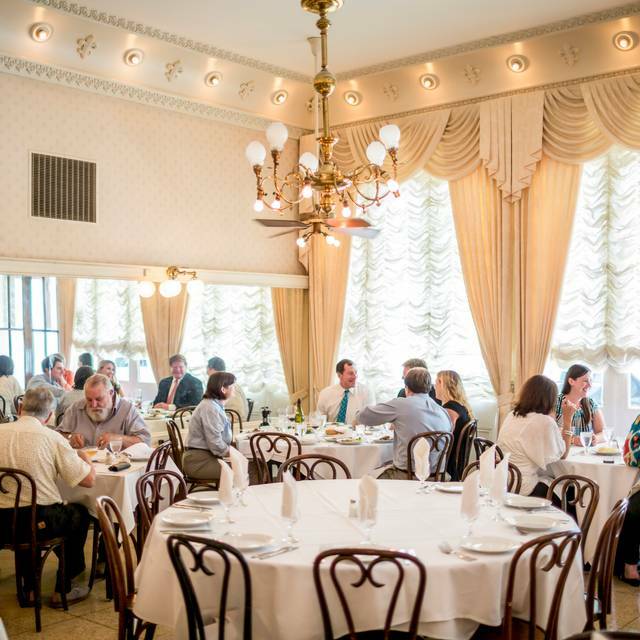 At Antoine's you are paying a premium for the name and the fun of looking around a piece of history, which may be worth it for some, but there are better places to dine in the French Quarter. Good service! Love the martini of the day! Terrible service, we were ignored for 10 minutes at our table while others who had come later were served. Food very far from special: oysters Rockefeller were covered in a green/ Brown sludge. Lamb chops were decent meat badly prepared and presented. Chicken with mushrooms was so spicy I couldn't eat it (Waiting staff were not interested in my complaint). Broccoli so undercooked it was, essentially, raw. Best part was the bread and they don't make that. Didn't feel valued as a customer. Very disappointed. In my opinion, a place trading on its reputation, now undeserved. Top shelf all the way around. Mark our server gave a histrionics on the restaurant and owners family history. Made very good suggestions on the menu. This is usually my favorite NoLa place to eat. The food was awful this time. My fish was over cooked and the soup was cold. The experience is very overrated. Save your money and go somewhere else! We make our annual pilgrimage to Antoine’s when we visit the French Quarter. We love Antoine’s ambience; the food never disappoints; service is impeccable. We admire the family for maintaining the high standards that have kept Antoine’s a family owned restaurant for 179 years. We look forward to dining with you next year.